The 2019 SXSW Film Festival is almost upon us and we can’t wait to have you here! Before you make your way down to Austin, TX, get to know films from our lineup a little bit better with our Filmmaker In Focus series. Dive into our Q&A with director Bruno Murtinho, as he tells us about his film Amazonia Groove, which will have its North American Premiere in 24 Beats Per Second. Bruno Murtinho: An amazingly beautiful chance to show the world the curious – and sometimes incredible, life of these talented musicians and their songs that still nowadays only a few people, even in Brazil, know. 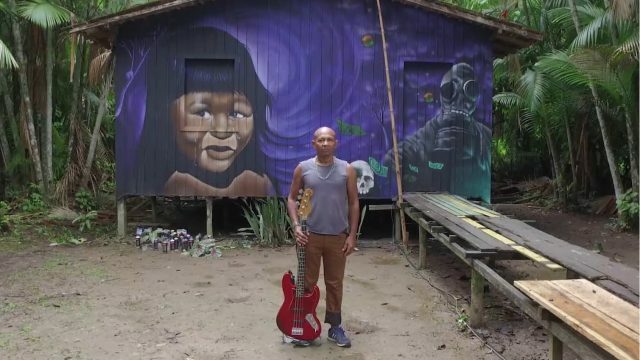 Not only the Brazilians, but the whole planet needs to know these gifted people, their musics and especially their connections with the forest and rivers. Through their stories, their lives and melodies, one can get to know more about Mother Nature than thousands of science books could teach. To me, that’s what the movie is all about: a perfect triangle made of music, nature, and spirituality. BM: The possibility of revealing the characters and their curious lives to a larger audience. Also the chance to reveal an unknown part of the Amazon Forest and above all, the magical and mystical mythology/spirituality that lies within the creative process of some of the film’s characters. BM: The melodies and the joy of the songs, the beautiful stories of our characters and, above all, the spirituality and the sense of oneness that permeates their lives. The trees, the rivers, the musicians, their songs, their spirituality and their creative process…all of these are part of a single organism: Mother Earth. How did you find your subject? BM: A friend – a musical producer that was born by the Amazon Forest – told me about these fantastic musicians and sent me their songs. I listened to the mp3s and instantly fell in love with everything I heard! Then he told me about his idea of producing a documentary about them… he told me he was a fan of my music videos…and finally asked me if I would like to write and direct the movie. Next thing I know…we were heading to the Amazon with my camera to start the research. BM: The importance of the festival is huge! The most talented, creative, and open minded people will be there! To be part of this scene is such an honor! Add Amazonia Groove to your SXSW Schedule. Stay tuned in the coming weeks as we share more interviews with our SXSW 2019 filmmakers!